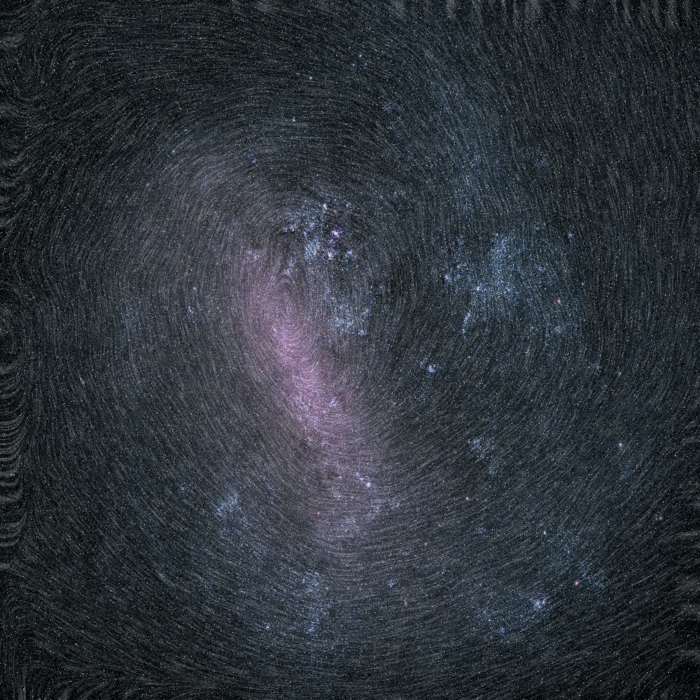 Astronomers combing through data from the ESA’s Gaia spacecraft have discovered what they’re calling a ghost galaxy. The galaxy, named Antlia 2 (Ant 2) is an extremely low-density dwarf galaxy that was formed in the early days of the universe. 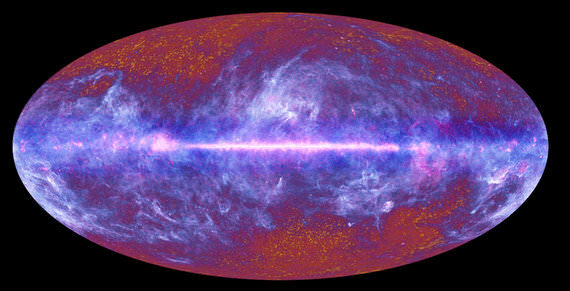 And it is being stripped of its mass by the tidal forces of the Milky Way. In December of 2013, the European Space Agency (ESA) launched the Gaia mission. Since that time, this space observatory has been busy observing over 1 billion astronomical objects in our galaxy and beyond – including stars, planets, comets, asteroids, quasars, etc. – all for the sake of creating the largest and most precise 3D space catalog ever made. The ESA has also issued two data releases since then, both of which have led to some groundbreaking discoveries. 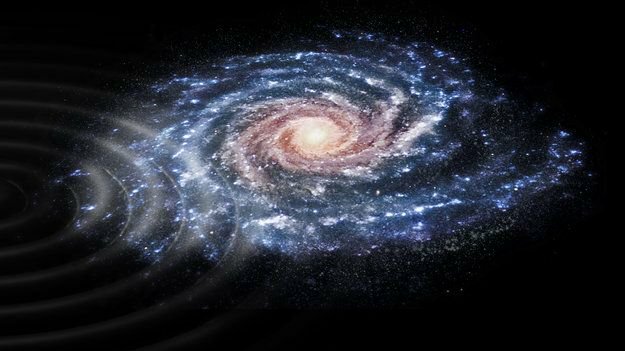 The latest comes from the Leiden Observatory, where a team of astronomers used Gaia data to track what they thought were high-velocity stars being kicked out of the Milky Way, but which actually appeared to be moving into our galaxy. This is a 3D map of 400,000 Hot Massive Stars Located Within 10,000 Light-Years From the Sun, Thanks to Gaia! In December of 2013, the European Space Agency (ESA) launched the Gaia mission, a space observatory designed to measure the positions of movements of celestial bodies. Over the course of its five-year mission, this observatory has been studying a total of 1 billion objects – including distant stars, planets, comets, asteroids, quasars, etc. – for the sake of creating the largest and most precise 3D space catalog ever made. In 2013, the European Space Agency (ESA) deployed the Gaia mission, a space observatory designed to measure the positions of movements of celestial bodies. For the past four years, Gaia has been studying distant stars, planets, comets, asteroids, quasars and other astronomical objects, and the data it has acquired will be used to construct the largest and most precise 3D space catalog ever made, totaling 1 billion objects. The second release of Gaia data, which took place on April 25th, 2018, has already resulted in a number of impressive discoveries. 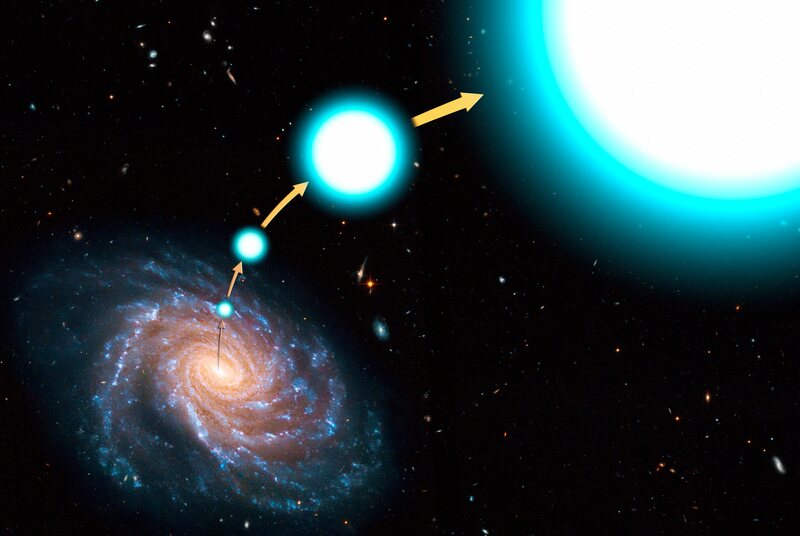 The latest was made by an international team of scientists who identified 13,928 white dwarfs within 100 parsecs (326 light-years) of the Sun, many of which were formed through mergers. This is the first time that white dwarf stars have been directly detected within the Solar neighborhood. The study which describes their findings, “Gaia Reveals Evidence for Merged White Dwarfs“, recently appeared online and is being considered for publication in the Monthly Notices of the Royal Astronomical Society. 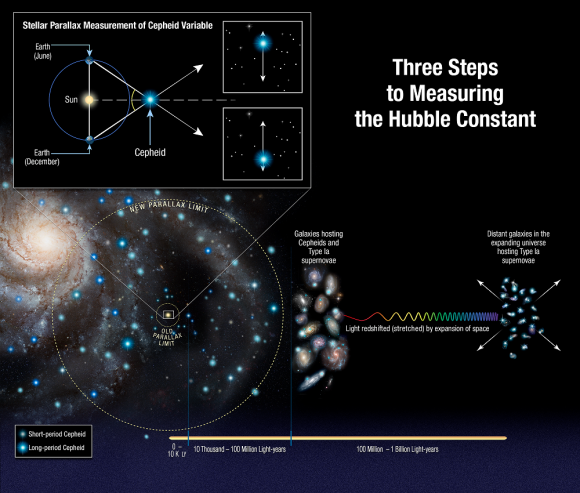 The study was led by Dr. Mukremin Kilic, an associate professor at the University of Oklahoma, and included members from the Institute for Astronomy at the University of Edinburgh and the University of Montreal. Basically, white dwarfs are what become of the majority of stars (with masses less than 8 Solar masses) once they exit the main sequence phase of their lives. This consists of a star exhausting its hydrogen fuel and expanding to several times its size (entering its Red Giant Branch Phase). These stars then blow off their external layers (a supernova) and leaving behind a white dwarf remnant. However, until recently only a few hundred white stars have been found within the local galactic neighborhood (500 within a 40 parsec radius). In addition, astronomers were only able to obtain accurate parallax (distance) measurements for about half of these. But thanks to the Gaia data, the number of white dwarfs systems that astronomers are able to study has increased exponentially. The Gaia data was also helpful in determining the nature of these white dwarf systems and how they formed. As they indicate in their study, previous research has shown that the majority of white dwarf stars in our local galaxy (roughly 56%) are the product of single-star evolution, whereas 7 to 23% were the product of mergers between binaries. 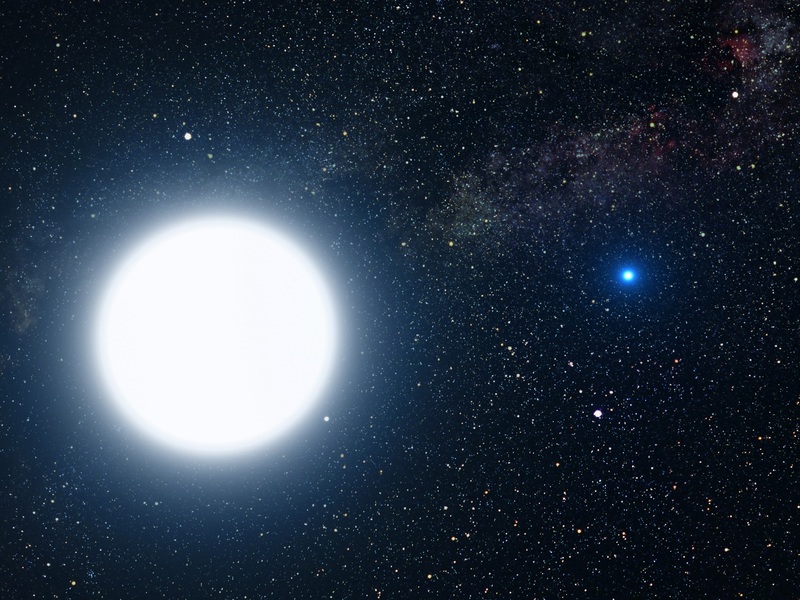 The remainder were white dwarf binaries, or binaries with one white dwarf and a main sequence star. 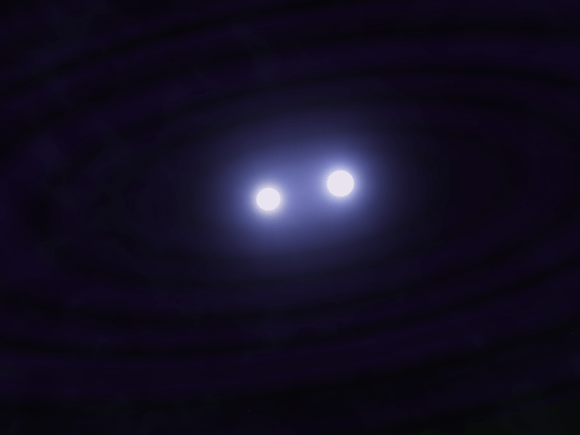 Artist’s impression of white dwarf binary pair CSS 41177. Credit: Andrew Taylor. From this, the team was able to assemble the first reliable Hertzsprung-Russell Diagram for nearby field white dwarf stars, as well as estimates on how often white dwarf binaries merge. 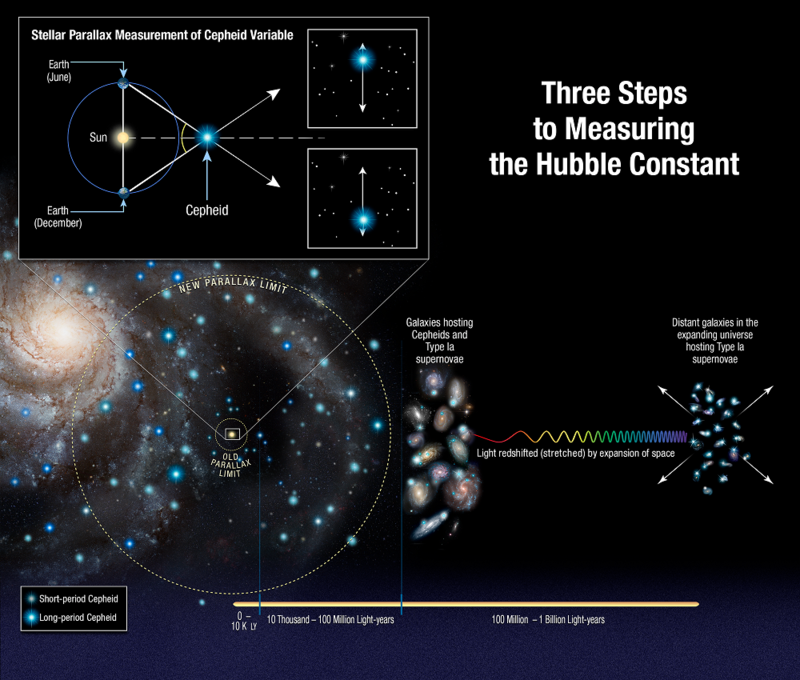 As Kilic indicated, this could have significant implications for other areas of astronomical study. These findings are yet another gem to come from the second Gaia data release, which has proven to be a treasure trove for astronomers. The third release of Gaia data is scheduled to take place in late 2020, with the final catalog being published in the 2020s. Meanwhile, an extension has already been approved for the Gaia mission, which will now remain in operation until the end of 2020 (to be confirmed at the end of this year).